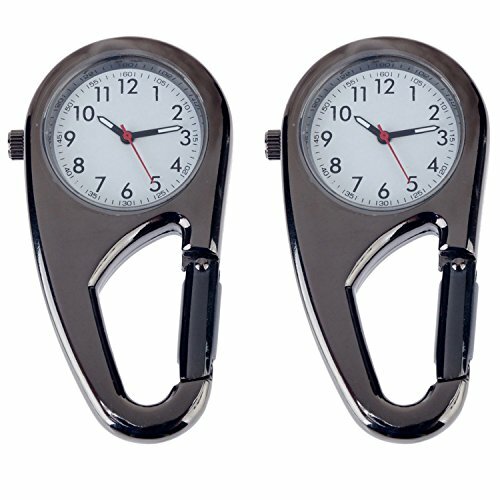 Set of 2 Metal Quartz Fob Watches With Carabineer Clips. These watches are analogue, made of metal alloy and are equipped with quartz movements. The dial diameters are: 0.98".